Today, sales at restaurants and bars surpass those at grocery stores, as we’re dining out more than ever before. According to the National Restaurant Association's 2017 State of the Industry report, Americans are spending 48% of their food dollars in restaurants and the number is expected to grow. Good news for restaurant owners? Absolutely. But as the restaurant-goers continue eating out, the battle for their business is also intensifying. Customer expectations are continuing to grow and the need for restaurateurs to innovate in order to attract and retain customers is more critical than ever. In this competitive environment, businesses need to constantly look at ways they can enhance customer experience to stay competitive. This is where mobile technology can help. Mobile technology is changing the restaurant industry. The agility of mobile devices has made them an intrinsic part of consumers’ lives. By 2020, there will be over 5.5 billion mobile users in the world, representing 70 percent of the global population. And with the majority of the world’s population using mobile technology each day, it is steadily becoming a go-to marketing solution for many companies. Interestingly, restaurants, cafes and bars are the most searched businesses by consumers on their mobile phones. And straight from a smartphone, customers can make restaurant reservations, order their meal and even pay all before they even arrived at a restaurant. 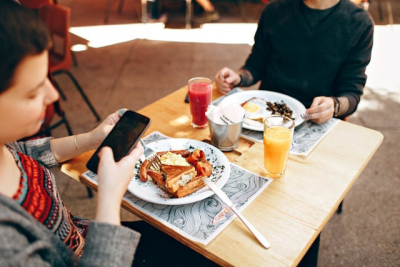 It’s, therefore, no surprise that mobile technology is one of the most effective ways restaurateurs can connect with their customers to increase yield. We’ve established the importance of mobile technology in today’s digital world. But how can businesses utilise mobile to increase yield? One of the most effective ways is through SMS technology and bulk SMS. The communications channel provides marketers with a wide assortment of options allowing them to send the right message to the right consumer in a more convenient and non-intrusive way. Related: When is the best time to send an SMS? Just about everyone can be reached today on a mobile device. The ubiquity of SMS technology has allowed restaurateurs to connect with customers anytime and anywhere. Today’s savvy restaurateurs are increasingly leveraging the power of SMS and to great effect. Here are some of the ways using an SMS service provider can help you increase your yield. Send SMS alerts or notifications to keep customers informed on ETA’s on food deliveries as well as on table openings and availability. Once a table is ready, you can send a text message notifying the guest. Streamlining the reservation process and making it simple for guests can help you achieve more sales. Sending SMS reminders can effectively reduce no-shows as well as give customers the opportunity to cancel or postpone enabling you to free up table space for another guest and avoid losing revenue. Customer experience is everything. 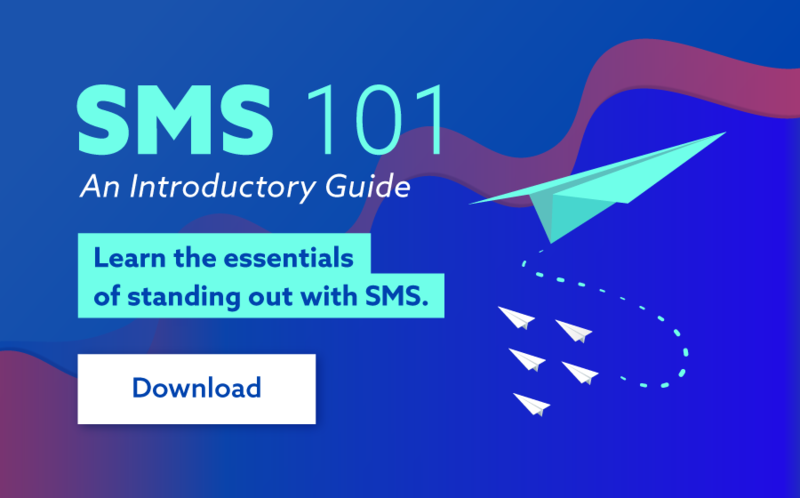 SMS enables you to send out simple, quick and easy surveys and obtain instant feedback. All you have to do is send out a text message asking guests to rate their experience and from their responses, you can be able to obtain valuable insights enabling you to make improvements where necessary. Text messaging is the best tool for sending out last-minute promotions and offers. Through bulk SMS campaigns, you can effectively promote restaurant specials like Valentine’s Day and increase the number of orders you receive. Text messaging also allows you to effectively leverage the success rate of SMS coupons. Compared to print coupons, SMS coupons boast an astounding 1000% higher buy rate at a fraction of the cost as per Restaurant Report. While reaching out to new customers is essential, keeping your loyal customers happy is proven to be more cost-effective. In fact, it can cost up to ten times more to win a new customer than to retain an existing one. According to a study conducted by Manta and BIA/Kelsey, a repeat customer spends 67% more than a new one and more than 61% of businesses now generate the majority of their revenue from repeat customers rather than new customers. Want to encourage repeat customers? Reward your loyal customers with specialised offers, discounts and rewards. An SMS loyalty program is a great way to do this. When well executed, loyalty programs can actually bring in more money than it costs you to maintain them. What’s more? SMS loyalty programs can be easily automated making them easier to manage. Today’s consumers value convenience and appreciate personalized app experiences. As a result, businesses worldwide are increasingly adopting the use of mobile apps to help increase awareness and revenue streams. Beyond making more money, mobile apps make order fulfilment far much easier. Customers can order directly from the app making it possible for the orders to be as detailed as the customer wants. And with in-app payment, your delivery guys will have one less thing to worry about. If you are yet to start using mobile ads for your restaurant, you are missing out on a huge opportunity. Mobile now accounts for 69 percent of digital media time spent and by 2019, 72% of all paid ads clicks are expected to come from a mobile device! Mobile ads offer restaurateurs a great marketing option as most customers are often looking for nearby dining options while on the move. With effective mobile ads, you can target and attract dinners and even event planners. As we spend more time on our smartphones and tablets, mobile technology is increasingly becoming important and a must-use for marketers looking to increase yield. If you are yet to develop a mobile strategy for your business, 2018 is certainly a good time to get started!